Shaping the face with contouring sounds like such a simple concept but in practice it’s rife with dangers: a muddy looking face or orange stripes are often the completely unintended results. But hazards aside, it’s a trend I’ve developed a mild obsession with over the past year or so, when I’ve been dabbling in all sorts of products and tools in the search for a thinner face and more sculpted cheekbones (chance’d be a fine thing!). There are lots of great online tutorials on the topic – like this fab Pixiwoo video – but tools are just as important as technique. You don’t want anything too light, too dark, too warm or too orange for your skintone – all sins I’ve recently committed, so I’m speaking from experience! Shimmer is also out – you’re trying to create shadow, and not attract light. 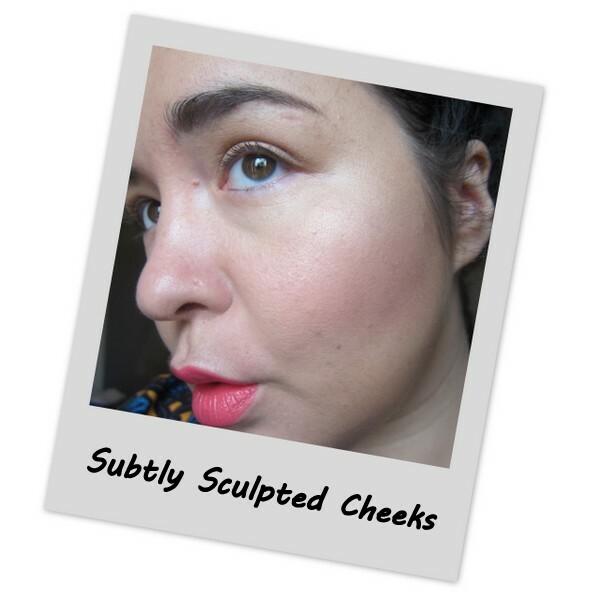 Recently I’ve stumbled across a few products which I’m convinced are the crème de la crème when it comes to achieving a natural contoured look. I was sent a few products to try out from the brilliant Irish online beauty store, Mise Beauty, and among them were the subjects of today’s post: the Sculpting Powder and the Celestial Powder from Kevyn Aucoin. In beauty circles, Kevyn Aucoin is a bit of a legend. After a hugely successful career working with some of the biggest celebrities of all time, along with Vogue magazine and brands like Revlon and Shisheido, he launched his eponymous makeup line in 2001 - sadly, just a year before his death. Both products look unassuming in the pan but the real magic happens when you use them on your face. The Sculpting Powder is ideal because it's perfectly matte - the medium shade is a cool toned mid-brown, that really mimics the aesthetic of a shadow on the skin. The texture is incredible, it's silky soft and very finely milled, feeling almost like a cream to the touch, and making it really easy to blend. The Celestial Powder in Candlelight has the same divine texture, and gives a lovely, glowy, diffused and yes, candelit, sheen. When used on the high points of the face, it can light up the skin and is the perfect counterpoint to the Sculpting Powder. It's a pale champagne gold that adds luminosity without shimmer. The real point of difference with both products is that they subtly make you look a lot prettier, without being OTT or obvious in any way. They're a real class act. Both powders are housed in slim red compacts with lovely large mirrors and brushes which, while not the worst, aren’t as fit for purpose as others in my collection. They're priced at €41.76 each and available online at MiseBeauty.com. Have you tried these, or any other products by Kevyn Aucoin? Do you like to contour and highlight, and what are your favourite products to use? I think it does look really subtle and the packaging is beautiful! Someone found my blog by googling contouring gone wrong so I'm taking note! Gorgeous! It is really nice and subtle! I've always wanted to try this out. Someday! I have a really good highlighter in the Feelin' Dandy Benefit box. A-hem, I may not have paid for that myself. I like it better than Touche Eclat for most highlighting (although I still go Touche Eclat for around the mouth). I've never had a disadter contouring, but only because with most powders, I damn near rub them off again. Intrigued! must pop into Mise. One thing we do have in Dundalk is Mise! Felicity - well jel! They have such an amazing selection of cult and niche brands! My favourite is the Tom Ford Shade and Illuminate. Have you tried it? It's perfect but so damn pricey (I think about 60 cuid or something). I don't highlight that much (I look a little too gaunt with contoured cheeks) but have heard great things about this line. Thanks for the review dear! If you do try them make sure you tell me what you think! the case is so pretty! gorgeous! I love the colour of your lipstick too. love the name of the powder X hee hee! I agree on everything you said about the requirements of a good sculpting powder, and this does the trick indeed! You look very charming my dear! I really need to learn how to make the most out of a sculpting powder, you created such a beautiful natural look. I've never tried contouring my face-but I think I will with this Kevyn Aucoin palette! Emma, you did a really good job! The last time I tried that, I had a streak or line down my face (cheek) hahahaha practice and patience. I really like Mise Beauty, it's a great website! Kevyn Aucoin was such a massive influence, and still is really even after his death on so many make-up artists. His mascara is great too!